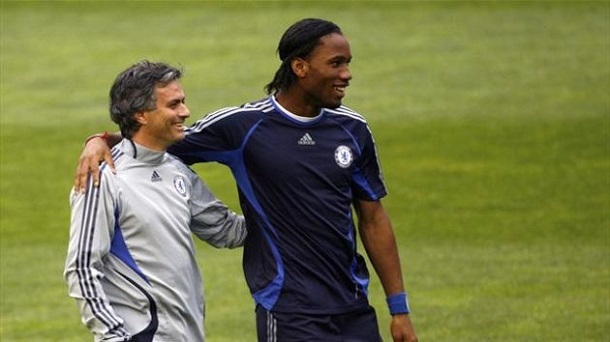 The Legend of Chelsea Didier Drogba has admitted he would love to return to Stamford Bridge this summer, and is waiting on an offer from Jose Mourinho. Errr errmmm…clears throat!!! Isn’t it better for someone to leave a club at his peak??? Returning to Stamford Bridge is like “a dog returning to it’s vomit” ewwwwwwww. This entry was posted in Entertainment, Sports and tagged Didier Drogba Would Love To Return To Stamford Bridge This Summer, Drogba Would Love To Return To Stamford Bridge This Summer, Latest about Didier Drogba. ← D’Banj Part Ways With Kanye West’s G.O.O.D Music Records?? ?